Oh Valentines Day. I have a love/ hate relationship with thee. The romance,overpriced flower arrangements, yummy chocolates, those candy conversation hearts, it can be a lot of pressure for you to get the right thing. Plus for much of the country, it’s really cold, and there’s not much to do that doesn’t involve a movie theater or run of the mill restaurant. So just what can you do for Valentines Day, that is a little out of the ordinary? For our last minute lovers, never fear: here are our suggestions for the biggest and best valentines day ever, along with some of the most romantic spots and activities in theme parks that you can find. 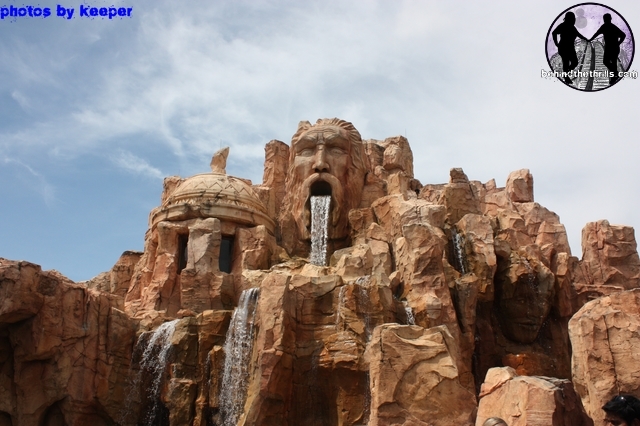 So what are some of the most romantic spots and things you can do at theme parks? The hard part this time of year is finding theme parks that are open, however, in Florida we have plenty, and tons of great things to do. From spectacular views, and cool places to dine, we’re going to make sure you have plenty of great things to do to impress your Valentine. Everything else? Well, that’s up to you. The huge pack of of and waterfalls makes for a great romantic getaway. The food is great, and it provides a great scenic waterside view of the park. It might help if they’re into coasters, but sometimes, that doesn’t even matter, as the view is simply breathtaking. More information. One of the neatest programs at SeaWorld is their animal interaction program. This intimate up close encounter is an amazing opportunity to learn more about the animals in SeaWorld’s care. 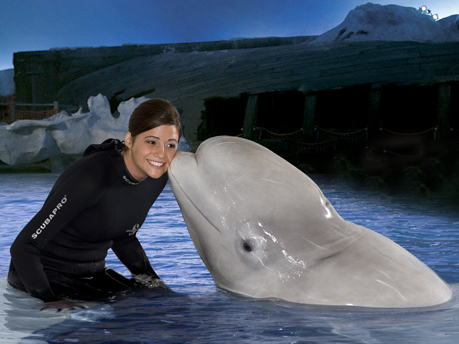 You and your partner can don wet suits and touch the Beluga wales as the animal care specialists teach you how to communicate with them. The best part is that you get to touch that melon, it’s the big hump on the top of their heads, and it’s all kinds of squishy and amazing! More information! 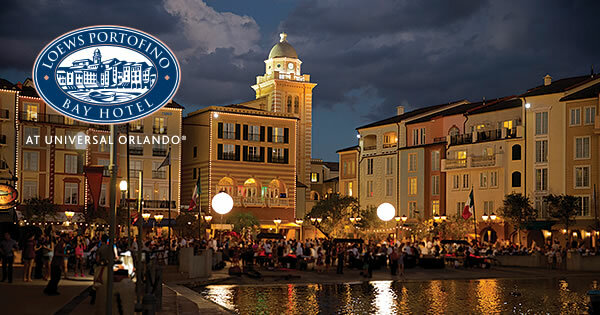 Portifino Bay at Universal guarantees the “dolce vida”- the sweet life- at their Harbor Nights event. Harbor Nights Romantico is a food and wine event designed to celebrate the romance and ambiance of the Mediterranean just for Valentine’s Day. This event is an incredible one- featuring select wines and sparkling wines paired with specially prepared foods from each of the hotel restaurants. When you’re done you can go for a stroll by the bay, or even peruse through the art gallery. More information. Sharks may not be the most romantic thing in the world, but there’s something about a dimly lit room, with the soft glow of these fearsome creatures cruising about. The entire restaurant is lit by candle, and of course the glow of aquarium. Makes for the perfect romantic hideaway. More information. So, it’s sunset, you’ve had a great day but you want to squeeze in something uber romantic. The only thing more romantic than dinner by the water, is a flight over it. 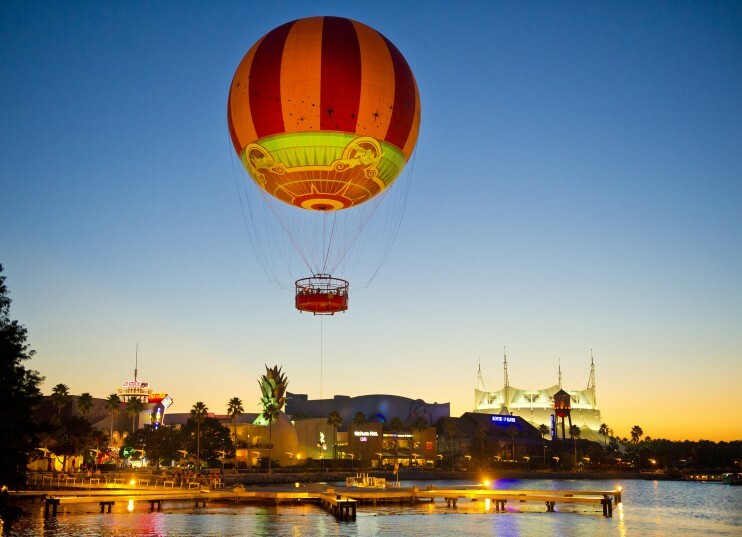 Characters in Flight at Downtown Disney offers huge views of the entire Orlando area, and takes you to dizzying heights. It’s the perfect way to begin, or end a date. More information. 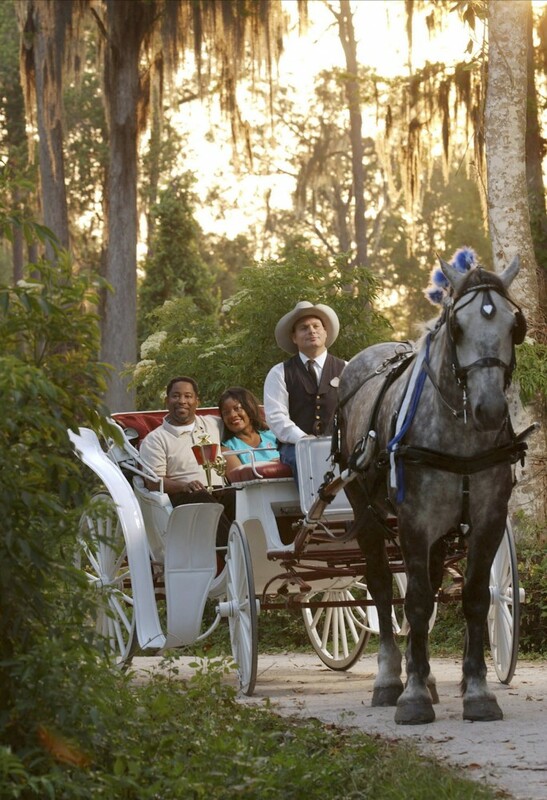 Go for a horse-drawn carriage ride through Disney. What else do we need to say? It’s very romantic, and makes for a great end to the night. Call 407-824-2832 for reservations. There are tons of romantic restaurants at Walt Disney World. And they are all amazing…all having something different to offer than the next. However, hands down, the most certain way to make sure you’ll have a good night after your Valentine does is to go to California Grill. 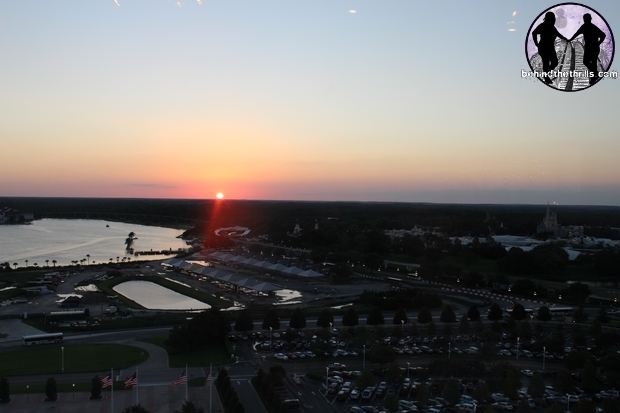 Sure, they have amazing food, and you can watch the fireworks from the top of the building, but for us it’s all about that sunset. Seriously, watching the sunset from those big beautiful windows is worth the price of dinner in and of itself. It’s an amazing view, and it’s the best place to watch the sun sink below the horizon. More information. So the final entry in our list of love is by far the most romantic, and our favorite. 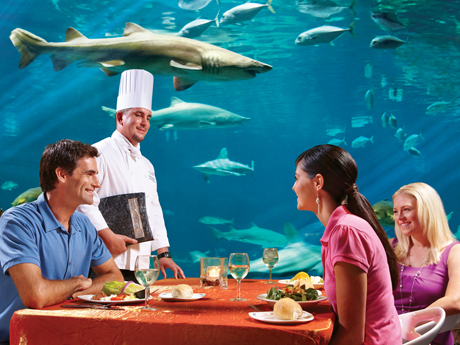 Discovery Cove is an amazing all inclusive day getting close to animals, and making connections. That’s what SeaWorld says. What do we say? All your food, all your drinks included…including alcohol. 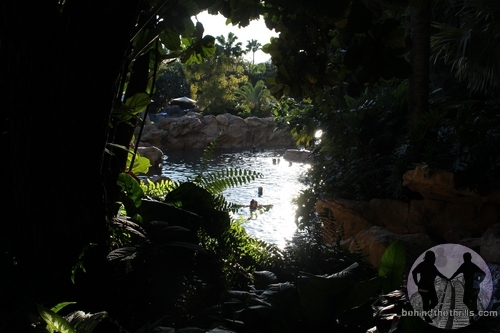 Lounging around tropical beaches, with lush landscapes, as dolphins swim by. You can’t get anymore romantic than that. Actually…I lied. You can do a dolphin swim and watch your Valentine light up. You can do a cabana and not even have to leave, as all drinks and snacks are brought by throughout the day. Sure, you can swim and snorkel and play with birds, otters and marmosets…but the best part is just laying by the beach, arms wrapped around your Valentine as the sun beats down. Think it’s too cold? The water is kept anywhere between 70 degrees and 80, making the chilly Florida winters of 65 seem like no big deal. More information here! Stay tuned for more romance and fun, and be sure to get social with us on Facebook, and follow along with us on Twitter @BehindThrills for the latest updates!